The Tennessee State Library and Archives’ Library for the Blind and Physically Handicapped (LBPH) program improved the quality of life for Tennesseans who have a physical disability that prevents them from reading standard print. 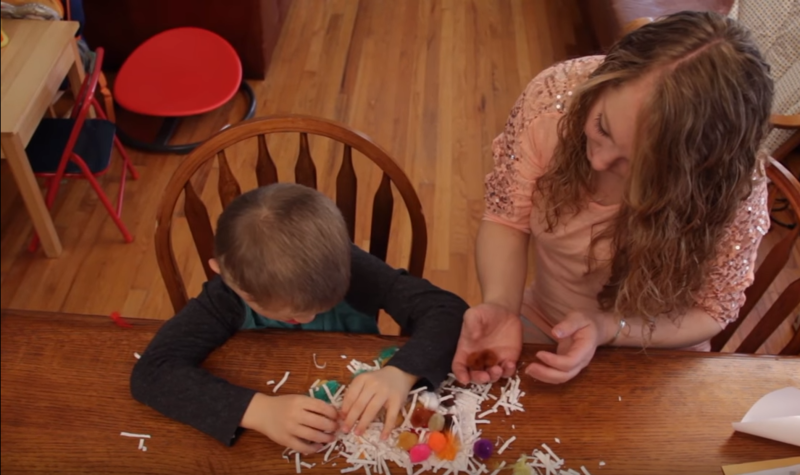 The program provides library materials in braille, large print, and audio formats. As part of the program, LBPH launched a monthly virtual story time. This program is held via conference call, enabling all children to participate, regardless of their disability or proximity to the library in Nashville. According to a 2016 patron survey, most of Tennessee's print-disabled patrons do not use their local public library. As a result, the state LBPH has add new opportunities for these patrons, enabling them to participate in educational and social activities and reducing feelings of isolation. Learn more about the program in this short video. 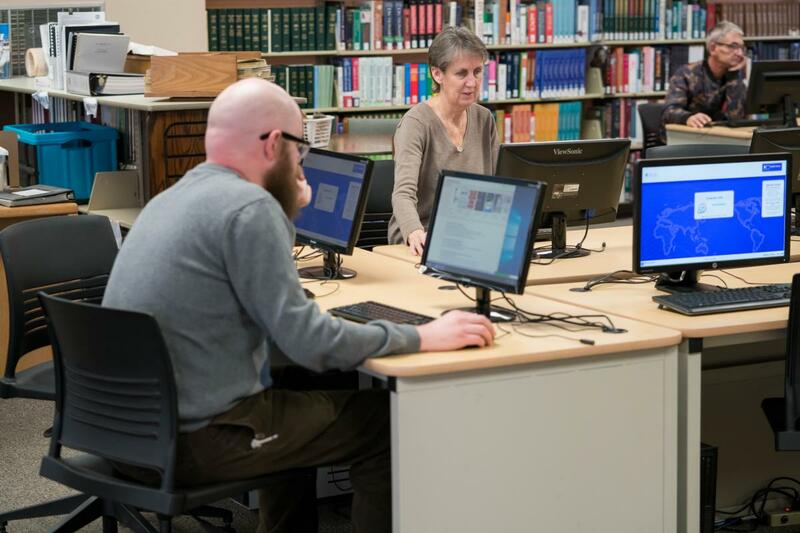 The Tennessee State Library and Archives' annual technology grants help libraries better serve their communities and create a solid technology infrastructure. Faster wireless connections, public spaces with innovative technology, age-appropriate software for children and more efficient front desk staff are all possible with up to date technology. For example, faster public access computers are critical for people who use the library for online services, such as applying for social security or potential employment. Computers also support behind the scenes work, such as circulation and cataloging. The Technology Grants to Public Libraries provided much needed computer hardware and software through a 50/50 match with local dollars. The Tennessee State Library and Archives’ Tennessee Electronic Library (TEL) comprises online databases for all libraries in the state. Grant funds were used to increase awareness and usage of the content through increased training and marketing. TEL supports public and private education, workforce development, and lifelong learning statewide. Project staff hosted "Go TEL It on the Mountain! Workshop: Building Partnerships and Breaking Down Barriers," which focused on reimagining library outreach to cultivate user-engagement. Breakout sessions covered building partnerships with community groups to increase awareness and breaking down barriers to usage. View the IMLS funding by state report - Tennessee (PDF 1.04 MB) with additional information about all IMLS funding for this state (FY 2011 – FY 2016). Goal 1: All Tennessee residents will have the reading skills, information resources, and library services needed to succeed in school, at work, and in their daily lives. Tennessee Electronic Library (TEL): Provides statewide access to licensed, full-text periodicals and reference resources free of charge to users. R.E.A.D.S. (Regional eBook and Audiobook Download System): Uses LSTA funds to license downloadable content and make it available to patrons. Materials for the Disadvantaged: Provides public libraries with materials allocations to purchase items that meet the needs of disadvantaged individuals. Tennessee Library for the Blind and Physically Handicapped: Provides services and resources for residents with a physical disability that prevents them from using standard print resources. Goal 2: All Tennessee residents will be able to locate and access library and information resources that are relevant to their lives through the provision of traditional reading materials, non-print media, online and downloadable resources, and electronic networks. Statewide Online Catalog: Provides a quality cataloging resource without direct cost to libraries and serves as the state’s interlibrary loan system. Interloan Services: Facilitates interlibrary loan requests that cannot be filled within the statewide online union catalog. Goal 3: All Tennessee residents will benefit from enhanced library and information services because library staff members have the knowledge, skills, and competencies needed to offer high-quality 21st century library services. Network Services Consultants (NSC) program: Provide free technical leadership and advanced support work for public libraries and Tennessee State Library and Archives. Technology grants: Provide a means by which public libraries, regardless of size or funding level, can replace computer hardware, software, and networking equipment. Continuing Education: Develop the capacity of library staff to assist the public by providing both online and in-person learning opportunities.